In the U. S., Guy Standing, 71-years-old, and a professor at the University of London, has never received the recognition he deserves as a scholar and a writer. In part, that’s because he hasn’t expressed himself in terms of sound bytes. Moreover, in the U.S. he hasn’t effectively publicized himself, his books, and his trenchant ideas about what he calls “the precariat,” which he defines as a new, global social class that he views as the political and economic key to a future that would be beneficial to all humanity. The mass media hasn’t wanted to give Standing and his work their due lest they stir up the populace; some traditional Marxists have also scoffed at his words and concepts. The term “precariat” is so new and so little used, at least in the U.S., that every time it shows up on my screen, my computer underlines it in red as though to say it’s not a real word and that I’ve misspelled it. I have not done so. In fact, Standing’s breakthrough book, The Precariat, which was first published in English in 2011, has been translated into 23 languages around the world and has jumpstarted conversations about work, wages, rents and global economic insecurity. I first heard the word precariat and its cousin, ”precarity” from two men who live and work in the San Francisco Bay Area, where women, children and men live lives that are increasingly precarious economically, socially and psychologically. Keith Hennessy is a dancer; Stephen Clarke is a schoolteacher. They both used the word “precariat” on the same day, though not at the same time. I was interviewing them for an exhibit about punk, protest and performance art in the 1980s when their lives were a lot from precarious than they are now. Clarke belonged to a rock band. Hennessey performed in the streets. Both figured out how to survive in a stressful time and place, though they are still members of the precariat, which is growing by leaps and bounds in the San Francisco Bay Area where the tech industry and a new generation of millionaires, along with corporate greed and an avaricious class of landlords has pushed rents higher and higher and forced working class families to leave the city. 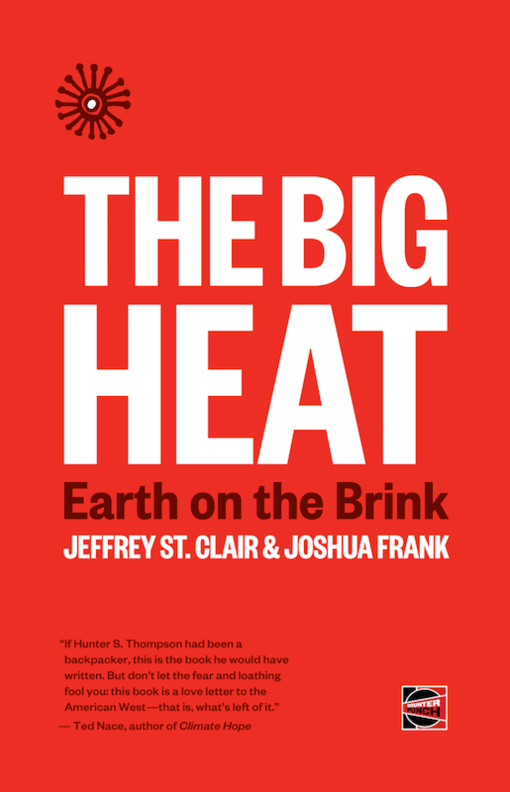 Once I read the word “precariat” on the lips of Clarke and Hennessey I went online and found Professor Guy Standing the author of several books including Work After Globalization (2009), The Precariat (2011) and Plunder the Commons, out later this year. I emailed him a series of questions. He provided candid, comprehensive and lengthy answers, which I have edited in the interests of compression. Welcome to the world of the precariat, which has begun to flex its muscle and to clamor for reform if not revolution. Q: Has the term “precariat” tipped? A: Undoubtedly it has. Every day I receive emails from people around the world who say that they belong to the precariat. I have talked about the subject in 40 different countries. I have just returned from India where I gave two lectures about the precariat. In January I spoke before an audience of 3,000 people in The Hague, in the Netherlands and 6,000 people in Leipzig in Germany. I have delivered my talk at Davos for the past three years. In June I’ll be in Winnipeg, Canada to spread the word. Q: In what places is there a deep understanding of the concept? A: In Scotland they really get it, also in Italy, Spain, Japan and Korea. In the U.S., where the precariat is growing, leftist voices are still stuck with the term “working class,” which I think obscures what is happening. The U.S. media has been mute. Q: Do you mean to overturn traditional Marxist terms or embellish them and bring them up to date? I believe that concepts, which might be suitable for one era—Marx was writing at a time of rising capitalism—may cease to be suitable for later eras. The old proletariat, male dominated, laboring full time in factories and mines is profoundly different from the emerging precariat, conceptually and politically. But please note that I have drawn on Marxian concepts in defining the precariat: distinctive relations of production, distribution as well as relations to the state. I also add consciousness, which makes today’s precariat the new dangerous class. The Italian translation of The Precariat was Precari: La Nuova Clase Explosiva, which made me angry. Q: Where and when did your study of the precariat begin? A: In the 1980s I wrote and co-wrote a series of monographs about the growth of labor market flexibility in eight European countries, including Sweden and Finland—then extolled by Social Democrats as close to Nirvana—and concluded that their models were unsustainable. I was convinced that the neo-liberal economic policies, pursued by Thatcher and Reagan, would produce class fragmentation and more intensified inequalities. With funding from the International Labor Organization (ILO) under the umbrella of the UN, I gathered data from 80,000 firms, and 68,000 workers in 20 counties. I personally interviewed hundreds of factory managers, along with thousands of workers. My colleagues and I produced a comprehensive 500-page report, Economic Security for a Better World (2004), for the ILO. Representatives of the U.S. on the ILO governing board immediately attacked it. The ILO director withdrew the report. Shortly thereafter I resigned and got to work on the precariat. Q: You write about the four related As: anger, anomie, anxiety and alienation, which are shared widely across class lines in the U.S. and France: hence Trump and his supporters here and the gillets jaunes there. The concepts are not new are they? A: True, there has always been anger, anxiety, alienation and anomie. What’s distinctive now is that members of the precariat tend to suffer acutely from all four at the same time. Anomie stems from a low probability of upward mobility. Alienation stems from having to do a lot of activities that one doesn’t want to do, but is capable of doing. Anxiety stems from chronic economic uncertainty, and insecurity, and anger stems largely from a feeling that no political party or politicians in the mainstream articulate an agenda geared to the precariat. Q: Is the precariat a homogenous group. A: No, it’s divided into three factions: atavists who look back and want to revive a lost past and who tend to vote neo-fascist and populist; nostalgics are mainly immigrants and non-citizens who feel they have no home anywhere in the world and keep their heads down politically, except on rare days when they express their rage; and the progressives who go to college and university and graduate with debts and a bits-and-pieces existence. As the numbers of progressives grow so too does their political re-engagement. They are not just victims. They have been infiltrating moribund social democrat parties and are setting up new parties and movements of their own. Many of them are campaigning for a basic income, a policy I have advocated for 30 years. Q: What’s your book The Corruption of Capitalism (2017) about? A: I argue that we’re in an era of rentier capitalism and do not have a free market economy. In the conclusion of that book, I write that only a precariat revolt (hopefully peaceful) will lead to a new distinctive distribution system. I also say that the primary antagonist of the traditional proletarian was the boss, the capitalist and that the primary antagonistic of the precariat is the state itself. Q; I have known and still know people who are in precarious economic and social circumstances. Do you? A: They are everywhere and they’re all wondering where, if anywhere, they’re going.